MetroFi announced today the deployment of wireless mesh networks at San Francisco’s Civic Center, Ferry Building and Portsmouth Square. I visited all three locations this evening and SF TechConnect, San Francisco’s wireless access grid, is definitely alive and broadcasting. Using the network supposedly currently requires visiting a splash screen and accepting a terms of service document, but I could not establish a connection to any of the nodes. Macworld reports the system uses both 802.11b and 802.11g protocols and a mesh between nodes is created using 802.11a. 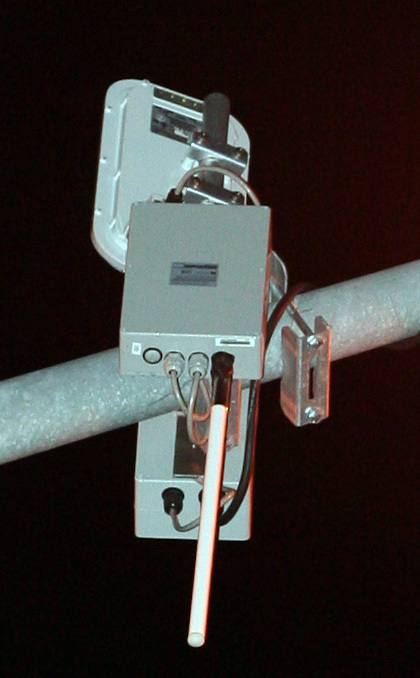 These access points are connected via a 36 Mbps wireless line-of-sight connection to Mount Davidson (about two miles south) and city-owned fiber. The city now has open wireless connections covering its major events venues: Civic Center plaza, Union Square, SBC Park, and the Ferry Building. Sweet!